NBC 7 and MiraCosta College are partnering Tuesday to present a debate between California Congressional District 49 candidates Diane Harkey and Mike Levin at 6:30 p.m.
NBC 7 anchors Mark Mullen and Catherine Garcia and NBC 7 political reporter Alex Presha will host and moderate the debate at NBC 7’s studio in Kearny Mesa. 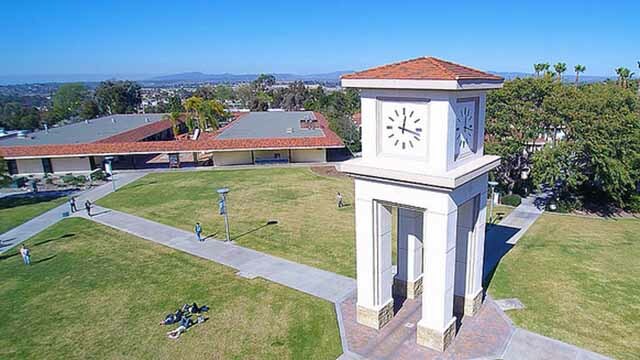 MiraCosta College’s Associated Student Government plans to host a live viewing of the debate at the school’s Oceanside campus. Residents interested in attending the viewing at MiraCosta must RSVP to MiraCosta College’s Kristen Huyck at (760) 795-6612 as space is limited. Levin is a Democratic environmental lawyer from Orange County. He has never held elected political office but has served as the executive director of the Democratic Party of Orange County in the past. He received the endorsement of the San Diego Union-Tribune’s editorial board on Oct. 1. The 49th District includes northern San Diego County cities Oceanside, Vista, Carlsbad, Encinitas, Marine Corps Base Camp Pendleton and a southern section of Orange County. The district is currently represented by U.S. Rep. Darrell Issa, R-Vista, who announced in January he will not run for re-election in 2018. President Trump nominated Issa to be director of the U.S. Trade and Development Agency last month. Harkey and Levin finished first and second in the district’s top-two June primary with 25.52 percent and 17.49 percent of the vote, respectively. A September poll of registered voters in District 49 from The New York Times and Siena College showed Levin leading Harkey 51-41 with eight percent undecided.